The Lexus LX is the premium giant sized luxury SUV, with a a ton of luxurious elements as well as the capability to traverse uncharted off-road terrain. With luxury comes top-of-the-line lighting system, and the LX does its job well. 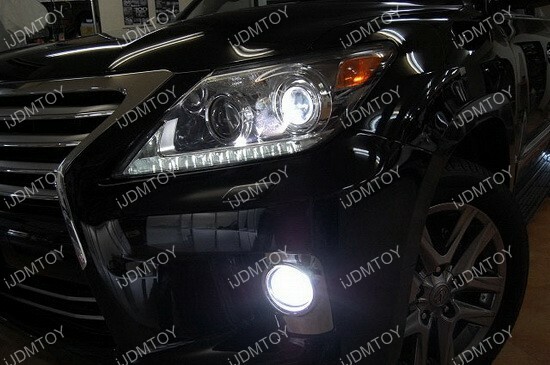 However, if you want a slightly different fog light look, these OEM Lexus LED Fog Lights replace the stock fog lamps for a whole new flawless look. You can tweak your Lexus LX a little to give it more of a personal touch, but still stay in the luxury sector. You can replace the stock halogen fog lights as a direct replacement and make your LX look like the all new 2016 model for a sleek look.